As a travel writer, I feel blessed for the chance to explore destinations outside Malaysia that made me fall in love over and over. However, I must admit that eventhough I have been to exotic locations overseas, I still have not explored enough of my own homeland, especially the islands along Peninsular Malaysia’s East Coast, particularly Tioman. When Tourism Malaysia Pahang Office invited Gaya Travel Magazine to experience the tropical island from 13 until 15 May 2015, I straight away agreed. There were 10 of us comprising media representatives and travel agents who joined the trip. My first trip to Tioman was such an eye-opener and make me realise that there are so many fascinating spots in Malaysia that I still have not discovered and should have visited. Disconnecting from the Outside World! Tunamaya Beach Spa & Resort, located on the southern part of Tioman Island, is indeed one elite beach getaway in the country with sumptuous rooms overlooking clear blue sea and surrounded by lush vegetation and wildlife. The resort is remarkably serene and its aquamarine waters are some of the most mesmerising in the world. There are 54 well-appointed villas to choose from, each facing either the turquoise waters of Tioman Island or the deep green rainforest. Besides water- and nature-based activities, guests are recommended to pamper themselves at the resort’s 4-star Sarang Spa, which offers various spa treatments incorporating traditional Malay and Balinese techniques. Fringed with big trees, Bagus Place Retreat’s hidden location that is close to Tunamaya Beach Spa & Resort offers lesser crowd and more peace, answering travellers’ search for the perfect private getaway. Bagus Place Retreat’s concept involves preserving the island’s natural beauty and spirit, aided by friendly staff comprising local residents from the adjacent village called Kampung Mukut. It has nine individually unique and spacious chalets, all with the views of the sea and jungle. My favourite villas would be the ‘Big Chief Villa’ and ‘Tree House’. I’ve been told that the best time to visit the property is in May and June since there is a higher chance for guests to catch a glimpse of dolphins then. Good to Know: Both Tunamaya Beach Spa & Resort and Bagus Place Retreat are closed during the heavy monsoon season (November-March), thus it is advisable that travellers plan their trip accordingly. Situated on a 200-acre of well landscaped land and a lengthy sandy beach with jungle clad mountains, Berjaya Tioman Resort & Suites has been built in traditional Malay vernacular. Guests can partake in a selection of activities and excursions that make the most of Tioman’s natural attractions, including diving, jungle-trekking, cruising, and engaging in motorised and non-motorised water sports. Both qualified and budding divers would also be glad to know that this resort has its own PADI dive centre that makes diving much easier and fun knowing that they will be in good hands. It is hard to think of a sport or activity more exciting or rewarding than scuba-diving when you are on an exotic tropical island that is blessed with beautiful reef and marine life. Naturally, that was what I mostly did when I was in Tioman. The island’s surrounding waters offers commendable diving opportunities with over 25 dive sites including Tiger Reef, Labas Island and Renggis Island, besides wreck diving spot such as at the Soyak Wreck. Best time to dive here is from September to November when water visibility ranges from 15m to 30m. For some people, divers or not, there are times when people face moments of fear when submerged under metres of water, afraid that they would not be able to breathe, their equipment fail, being swept uncontrollably by underwater current or even attacked by ruthless sharks. Luckily for such people, snorkelling is also available for them to enjoy Tioman’s underwater beauty minus the rigours of diving. 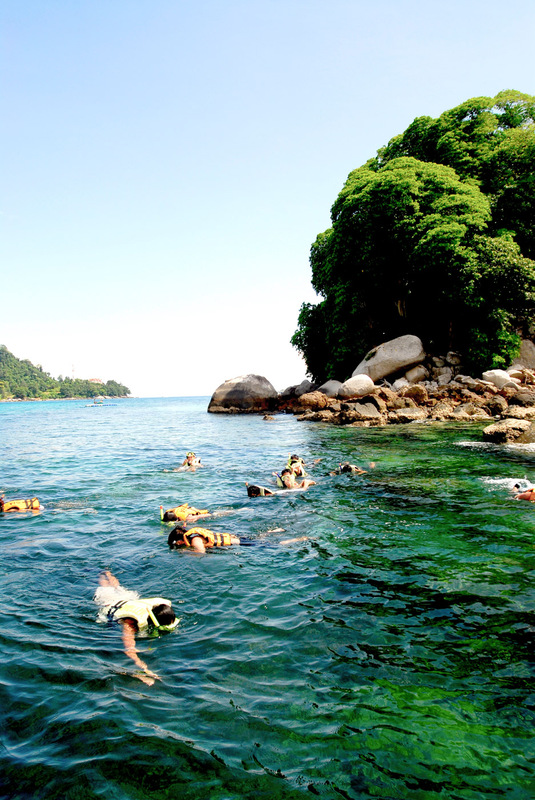 Most resorts in Tioman are able to arrange for speedboats to take guests to selected beaches and small uninhabited islands where snorkelling is at its best. Alternatively, snorkelling is also fantastic in front of most resorts – Tunamaya in particular – where snorkellers can conveniently check out the coral reefs without having to hire a boat. When travellers had enough of the beaches, they may also opt for another way to be close to nature by exploring the rainforest! One may explore by foot on the seven kilometre trek from Tekek to Juara Village or simply hire a four-wheel drive that costs around RM200 for four persons. Both modes lead to a small but spectacular cascading waterfall that is ideal as a picnic spot. 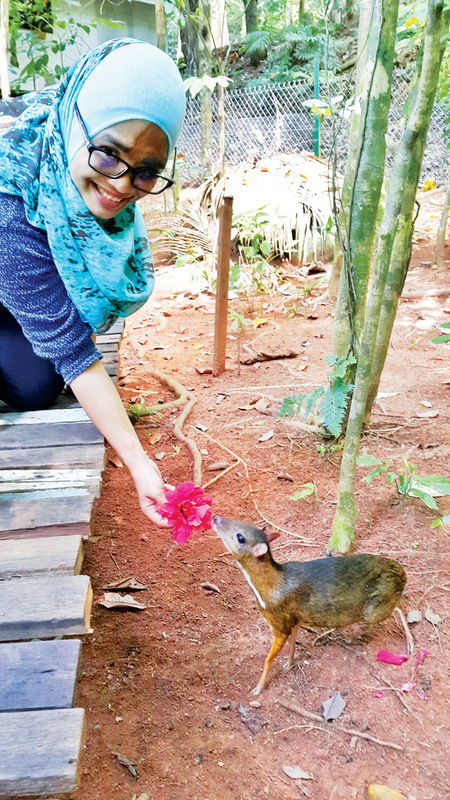 Juara Village also hosts a Mousedeer Farm where visitors can get up close and feed this smart and sly species with hibiscus. Most of the mousedeer that inhabit the centre are found from the wild, but have been trained and tamed. Entrance fee is RM15 per person. Juara Village is also the hub for rock climbing on the island, especially at Karam Balau. 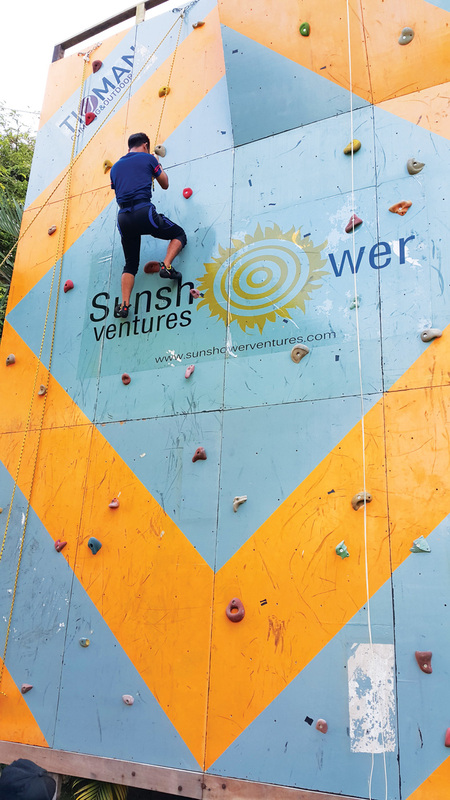 Beginners can sign up for high ropes courses at Santai Bistro Restaurant and Chalet, while professionals may stretch their muscles by climbing the wall first before heading to the more challenging outdoor rocks. The team from Gaya Travel Magazine expresses our heartfelt gratitude to Tourism Malaysia Pahang Office for allowing our writer to be a part of this memorable trip.